Halal is an Islamic dietary law certification. This is not only limited to food but also applicable to those products which are applied on body externally. CDG arranges Halal certification through recognized Halal certification agency. We are a pioneer Halal certification agency of India. Halal Certification Services in Delhi Mumbai Kolkata India. In order to cater the client’s needs, we are involved in offering a technically advanced array of Halal Certification Services. A Halal certificate issued by the Board is an assurance that a particular product has been thoroughly investigated and found to conform to the Islamic Shariah Laws and therefore is suitable for use by Halal consumers. A Halal certificate issued by the Board is an assurance that a particular product has been thoroughly investigated and found to conform to the Islamic Shariah Laws and therefore is suitable for use by Halal consumers. All is any object or an action which is permissible to use or engage in, according to Islamic law. 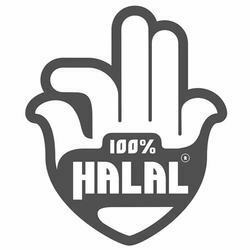 The term covers and designates not only food and drink but also all matters of daily life Halal is an Arabic word meaning lawful. It refers to things or actions permitted by Shariah law without punishment imposed on the doer. As a concept, halal does not only pertain to food. Halal means “permissible” and can refer to any aspect of life covered by the teachings of Islam. Halal is a part of sharia as a system of morals to guide Muslims' actions and behaviour, but this should not be confused with halal as part of a codified system of sharia law. Classification of food products as Halal is a very serious and can only be carried out by a Muslim who is an expert in the Islamic dietary laws. The Islamic dietary laws define what food and drinks are Halaal. These Islamic dietary laws are defined in the Holy Quran (the revealed book), the Hadith (sayings of the last Prophet, Muhammad, Peace and blessing of Allah be upon him) and in the fiqh (jurisprudence) of the Muslim Jurists: Hanafi, Shafii, Maliki and Hanbali. CDG Certification Ltd will arrange Halal certification through different prominent Halal certification agencies(Indian or foreign organisations). So contact us today for Halal certification.